Launched as a brand of the Hong Kong-based Hutchinson Whampoa Corporation, 3 UK's mobile network arrived in 2003. The company launched its mobile broadband in August 2007, undercutting its rivals, while its pay as you go version followed in December of the same year. 3 became the first mobile broadband operator to launch 'free' laptop deals in July 2008. It was also the first to market with mobile Wi-Fi dongles, which it has dubbed MiFi. While Three mobile broadband may have been late to the party as far as mobile network operators are concerned (being the fifth and final one to gain a 3G licence), it has concentrated on trying to lead the pack in terms of mobile broadband. So far, it has pretty much succeeded. UK residents have been bombarded with everything from free Three mobile broadband dongles and MiFi units to aggressive pricing campaigns. Over the past few years it has pulled back on some of its customer service problems too, while its network has gone from also-ran to contender. In 2008, 3 signed an agreement with rival network T-Mobile to combine their 3G access networks: at the time the biggest agreement of its type (it has since been trumped by a similar deal between Vodafone and O2). In 2014, Three activated its 4G network in selected cities across the UK, but in addition to 4G it also offers DC-HSDPA technology, allowing plain old 3G devices to enjoy much greater mobile internet speeds. What does Three mobile broadband offer? Three mobile broadband deals should suit just about anybody. If you’re looking to buy the hardware and SIM in a package you can choose from USB dongles, Wi-Fi dongles and tablets and iPads. And if you already have hardware you can pick up a SIM only deal. When it comes to contracts, there’s lots of flexibility with Three. As well as standard 12 month contract terms (usually the best value in terms of cost-per-GB) you have the option of rolling monthly (aka no contract) deals, pay-as-you-go and pre-paid SIM packs loaded with data. 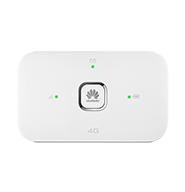 As a Three customer you have access to both 3G and 4G networks (there is no extra charge for 4G) and compatible devices will switch automatically when there is signal. Three also provides high speed 3G using a technology called DC-HSDPA; if your dongle, tablet or smartphone supports this standard it will be used when available. Not sure which package is the right choice? Our beginner’s guide to mobile broadband and guide to mobile broadband data allowances can help point you in the right direction. Three is consistently one of the highest rated mobile networks in terms of speed. In the last Ofcom broadband speed report it had the second fastest average 4G speed of 17Mb, and was joint first for 3G with an average 7Mb. And in addition to its strong performance, Three can be fantastic value. There’s a wide choice of deals to suit all budgets and needs. Roaming is free in many countries too, potentially saving a lot of money. But Three was late coming to the 4G party and is still playing catch-up so its network coverage for this standard is poorer than other networks. You should also be aware that traffic management (a feature it calls “TrafficSense”) is used between 3pm-Midnight to slow file sharing and tethering.